Invasive and Interventional cardiology offers the latest diagnostic tests and nonsurgical interventional treatments for patients with atherosclerosis and congenital heart disease. These procedures can be performed on an outpatient basis or stationary when necessary and indicated. 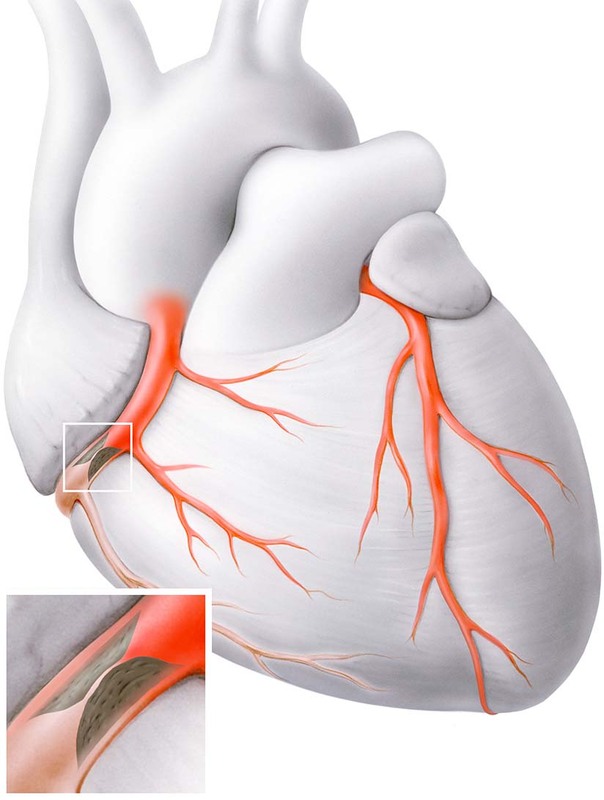 When a blood vessel (coronary artery) on the surface heart becomes blocked, this is called a stenosis. This stenosis can be quantified in a percentage of blockage. A blockage above 50% is considered significant which leads to underperfusion of the heart muscle and to an infarct. A stent is placed inside the coronary artery to open up the stenosis. This is called a percutaneous coronary intervention, also in short PCI. The stent is placed over a catheter which can be inserted either in the groin or the wrist. (1) Transfemoral access is the access of chopice for TAVI (2) in some instances a trans-apical approach can be indicated (3) a direct trans-aortic approach can be done over a mini thoracotomy (4 cm). A new alternative to conventional aortic valve replacement is the TAVI (transcatheter aortic valve implantation) procedure. This is a new technique allowing for modern biological prostheses to be implanted in the existing aortic valve with a catheter. For this access to the heart mainly is gained through a puncture in the groin.